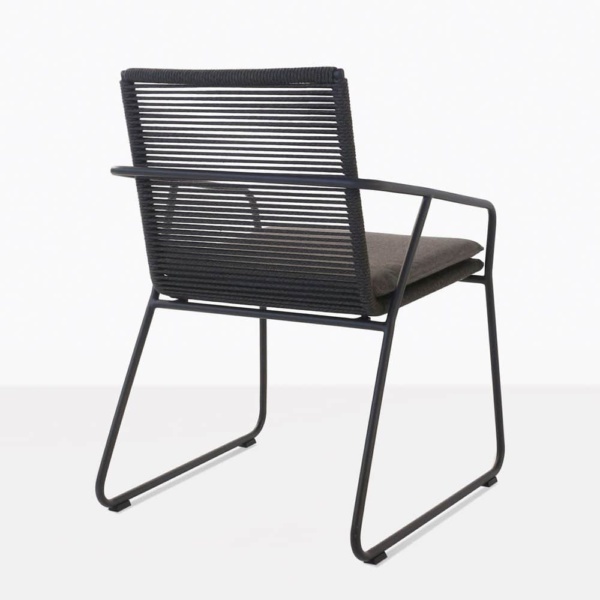 Delivering definitive dining deco, the Pierre Rope Dining Chair in dusky charcoal is a fabulous piece for many spaces, uplifting the area it is placed in! The Pierre Dining Chair takes a leaf out of the pages of French fashion magazines, with an outstanding geometric style base, and sleek, linear back and seat which is accentuated by the tightly wrapped outdoor rope and soft Sunbrella® cushion. 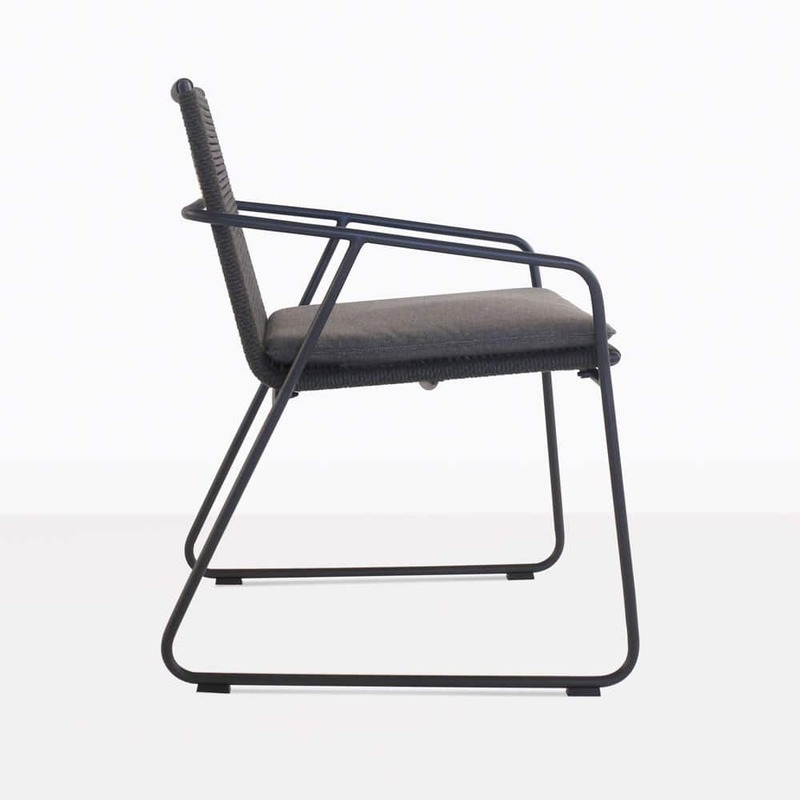 Pierre is the kind of chair that looks incredible around a traditional teak table or a contemporary concrete dining set up. 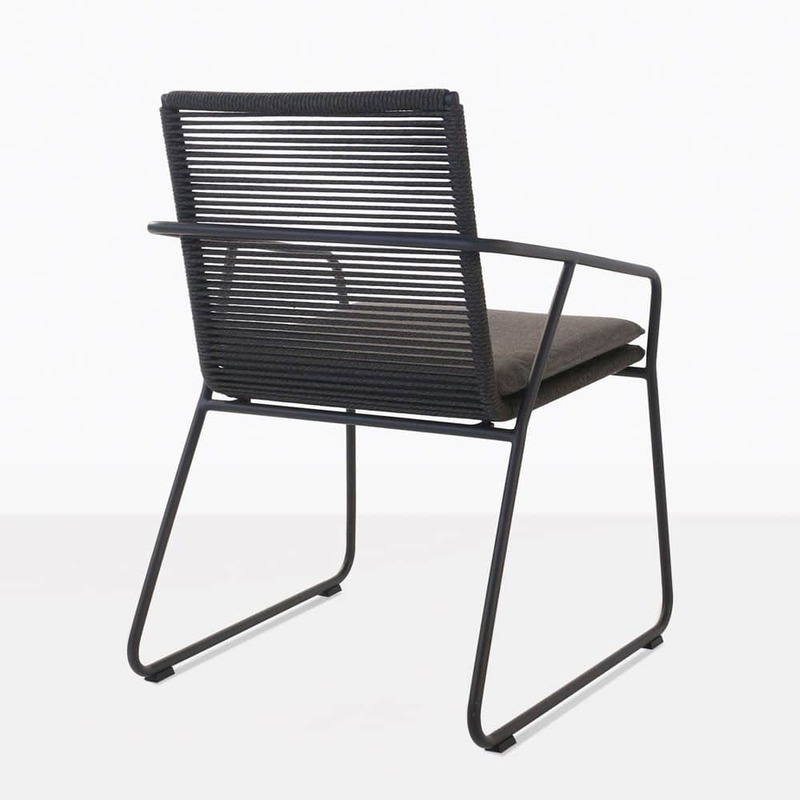 Imagine 8 of the gorgeous Pierre Charcoal Rope Dining Chairs around a loft table, with a slender table top and simple, straight legs. Dress with concrete planters, a sleek black umbrella and get ready to enjoy hours of relaxing entertainment in your open-air living space. Perhaps you’ve got an attractive teak dining table that needs a spruce up, surround with several of these Pierre Chairs and delight in the lifted look that such a sophisticated piece brings to your setting. The Pierre Rope Chair is such an elegant, modern style that it looks fantastic with your indoor suite as well! Dress around your rustic, wooden dining table for a chic, urbane vibe. Our Pierre Rope Dining Chair is made from quality outdoor materials, perfect for long life outdoors. Starting with the eye-catching aluminium, which has been powder, coated to perfection, looking good, deterring rust and corrosion. 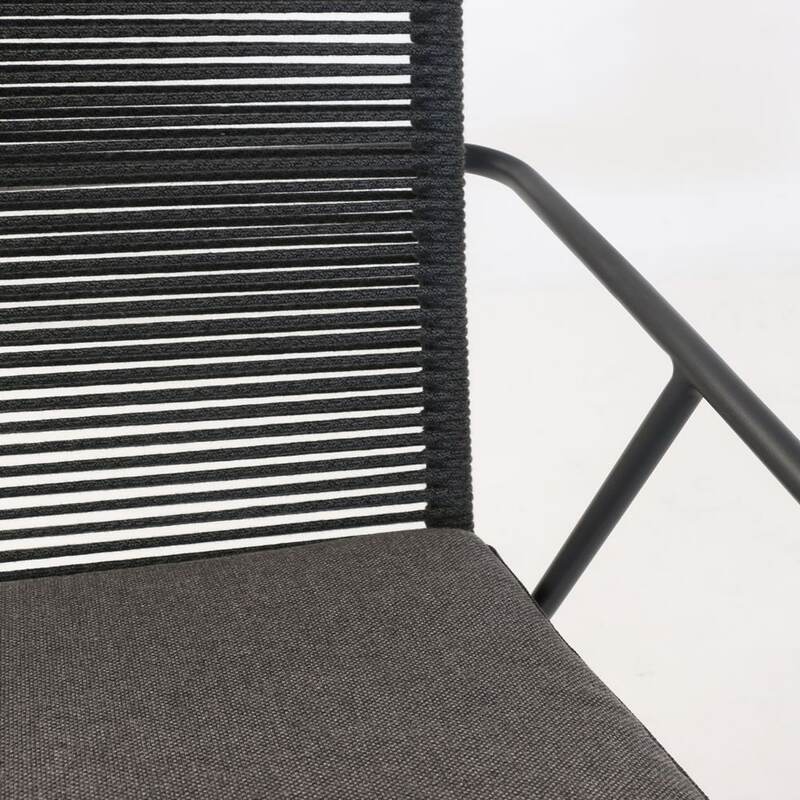 Wrapped beautifully around the frame is top of the range outdoor rope, which is strong and robust. Finally, finishing off the look is the free Sunbrella® cushion filled with QuickDry® foam, a perfect package of high quality materials in a stylishly designed chair! 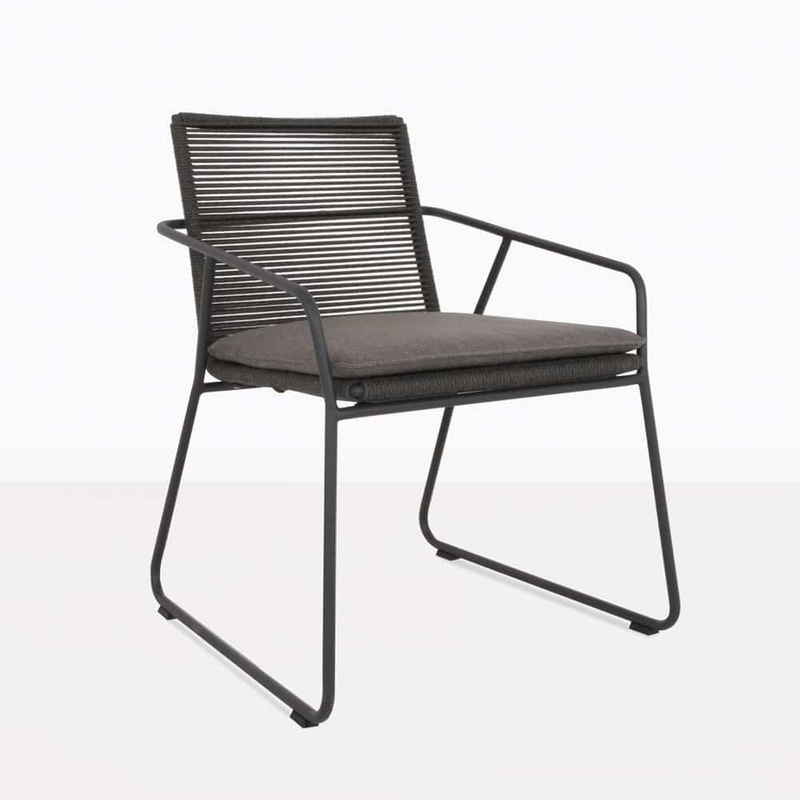 Design Warehouse is proud to carry an extraordinary range of outdoor furniture, the Pierre Rope and Aluminium Dining Chair is another example of when class meets luxury.